This comfortable and independent chalet of 110 m2 is the ideal place to spend holidays with family and / or friends. It has a capacity of 6 people (3 double beds - 1 bed per room - each room is independent and closed) and 1 mattress 90 cm of a person available on the mezzanine in extra bed (50 EURO / Week ). 1 cot is also available for baby at no extra charge. The chalet is at the foot of footpaths and / or snowshoes. The village offers dozens of marked trails with views of Mont CHARVIN and the chain of ARAVIS, or the massifs of Mont Blanc and BEAUFORTAIN. The Espace Diamant ski area is only 15/20 minutes by car from the chalet. The Megève ski area is a 25-minute drive from the chalet. To finish the ski area of ​​La CLUSAZ is 35 mn via the pass of ARAVIS, always snow cleared in winter. Les Marmottes is a calm and authentic place that calls for serenity and tranquility. In summer, the chalet is surrounded by alpine pastures in which animals graze. In the distance, one hears the song of Nant de CHAUCISSE (stream). The different terraces of the chalet give rise to contemplation and reverie. In winter, at 1300 meters the snow envelops the chalet of a jewel case. Chains and snow tires at this altitude are highly recommended even if the road is cleared off daily. The snow is very abundant in winter in Chaucisse! 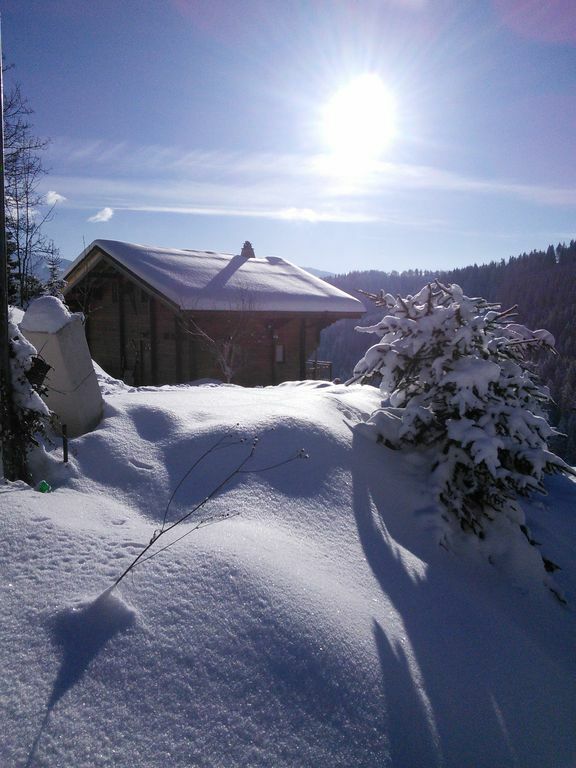 Close to: Megève, Praz sur Arly, La Clusaz, Les Saisies, Chamonix, Lake Annecy, Beaufortain, Mont Blanc, Etc. Nearest ski area: Espaces Diamant and La Clusaz. A lovely chalet in a quiet peaceful village with views of the Mont Blanc range. Very comfy & well equipped with all that is needed for a great stay. Belle emplacement pour ce chalet très agréable. Bon accueil, location bien équipée. Nous avons passé un séjour très reposant en famille. Chalet très confortable, avec de la place et bien équipé. La situation géographique est parfaite pour les personnes qui aiment la nature et le calme. En hivers, avec la neige, la vue est superbe. A voir en été, amis je pense que les balades à pied doivent superbe. Chalet très confortable et tranquille , accueil chaleureux de Sophie et petit cadeau de bien venue, complet dans l'équipement, il ne manque rien (cuisine équipé, 2 salles de bains, 3 chambres, etc.…), avec vue sur Chaine des Aravis et le mont Blanc. Expérience à renouveler. Beau chalet avec tout l’equIpement à disposition. Vue superbe sur la montagne depuis la terrasse.